We manufacture and supply our customers a wide range of E-Flute cartons which are manufactured from high quality raw material. Known for their longer durability, they increase the service life of the product by providing solid strength to the product. Not adding on to the weight of product, these cartons can also be offered in a customized Range as per the product and its branding. 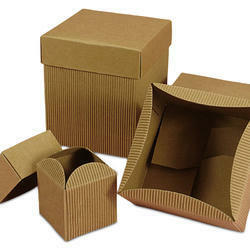 Our 3 ply corrugated box are environment friendly and are strong enough to handle heavy weights. 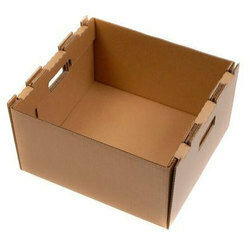 detailed description these boxes are available in different patterns, shapes and sizes our customers can get tailor made solutions according to their needs. Full Flap Slotted Container offered by us, is well- acclaimed for high durability and quality among the clients as manufactured from high quality raw materials. Full Flap Slotted Container is available in various sizes and colors to suit the requirements of the clients.